AMD may be making 30,000 unite of R9 Fury X in 2015, the news that comes from United Microelectronics Corporation (UMC) that its entering volume production of TSVs (Through Silicon Vias) used for the production of HBM (High Bandwidth Memory). With the release of the air-cooled Fury and the upcoming release of the R9 Nano, these HBM supply issues will get worse. UMC acknowledged the supply issues and they are working to get the supply issue shot out, so AMD’s HBM crisis should be over. 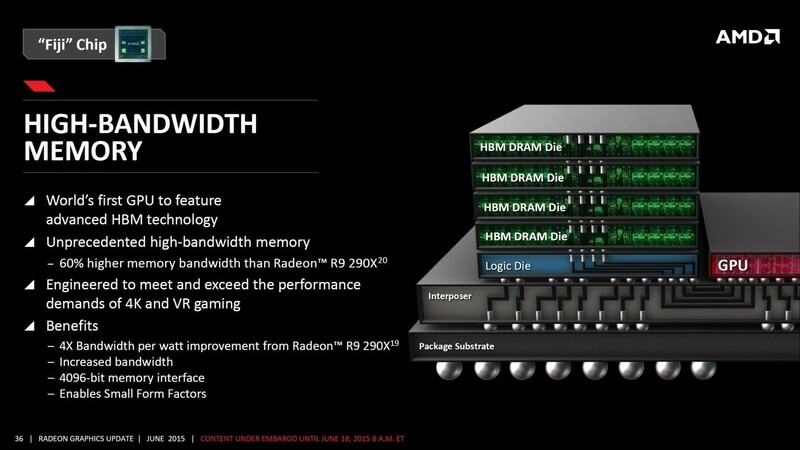 UMC said: “AMD has a successful history of delivering cutting-edge GPU products to market. This volume production milestone is the culmination of UMC’s close TSV collaboration with AMD, and we are happy to bring the performance benefits of this technology to help power their new generation of GPU products. We look forward to continuing this fruitful partnership with AMD for years to come”.